U-Haul is the largest moving vehicle rental company in North America, providing rental vans, moving trucks, trailers, and other vehicles to residential and commercial clients across the continent. Whether you are a regional business owner looking to relocate or a homeowner with a few items to move into or out of storage, renting a U-Haul for your moving needs can save you time, money, and hassle. Here at Stor-It, we are proud to partner with U-Haul and offer U-Haul Boise rentals at our Treasure Valley and McCall locations. Read on to learn more about the many reasons why you should rent a U-Haul with us and contact our team today! Why Rent a U-Haul to Move Items in and Out of Storage? Are you moving possessions in or out of storage? To ensure that things go as smoothly as possible, you may want to consider renting a U-Haul. Below, you’ll find key reasons why renting a U-Haul is the right move for your move. When moving a large amount of items, most cars just don’t cut it. Sedans and SUVs alike simply can’t fit many of the bulky items we choose to store. U-Haul rental vehicles, on the other hand, are designed with ample space to accommodate items large and small. For home moving, storage unit clear-outs, or other big-ticket tasks, U-Haul offers moving trucks ranging from 10 feet in length to 25 feet in length. For smaller moves, U-Haul has trailers of several sizes, cargo vans, and pickups for rent, too. U-Haul’s vehicles are designed for moving. This means they come equipped with interiors that can accommodate tie-downs you may need to fasten your possessions. No more worrying about damaging your items (or your own vehicle) during a move — with U-Haul, durability, and functionality are always maximized. It’s no secret that moving can sometimes be a hassle. One of the biggest sources of headache is figuring out how to transport your items from one location to the other. To make things easy, U-Haul offers a wide range of easy-to-rent vehicles designed for the express purpose of moving. This means you no longer have to bother friends and family about using their larger vehicles. Plus, U-Haul rental here at Stor-It is easier than ever. Simply visit our website or one of our many Treasure Valley locations, sign, and pick up your vehicle. Why Rent a U-Haul From Stor-It? U-Haul is a nationwide rental company with partners across the U.S. With many businesses offering U-Haul rentals, it can be difficult to pick one that works best for you. If you live in the Treasure Valley, the choice is easy. Our team here at Stor-It offers convenient, affordable, flexible, and comprehensive U-Haul rentals at several of our Idaho locations. Searching for a U-Haul rental? Stor-It offers multiple locations where you may rent a U-Haul. When you are looking to store your items with us, nothing is more convenient than picking up a U-Haul at one of our Stor-It rental facilities. Select Boise, Caldwell, Meridian, Nampa or McCall to find the nearest U-Haul truck rental location, and get all of your renting and moving done in one go! If you’re renting a U-Haul, you’re likely going to be doing some serious packing. To keep your possessions organized, you’ll need packing supplies like boxes, bubble wrap, packing peanuts, tape, and more. Rather than making several trips, consolidate your U-Haul rental and packing supply run into one stop here at Stor-It. At all our Treasure Valley and McCall locations, we sell a wide range of high-quality packing supplies. This helps you to complete your packing-supply run as quickly and effectively as possible. Visit our Packing Supplies page to learn more. The kind of U-Haul you’ll need for your move may vary depending on the types of items you’re moving, the overall item quantity, and the distance you plan on traveling. While some U-Haul rental businesses offer limited U-Haul options, our locations here at Stor-It offer extensive vehicle choices to meet your needs. 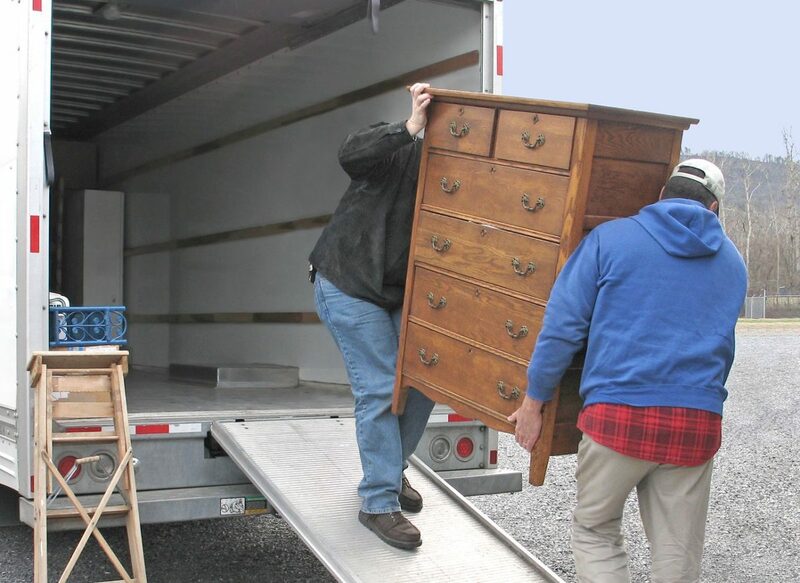 Saving money and reducing hassle are two of the main advantages of renting a U-Haul for your moving needs. Here at Stor-It, we offer fair and affordable pricing on all of our U-Haul trailers, trucks, and vans. We also offer the region’s best customer service, helping to ensure that everything goes smoothly as you rent your U-Haul with us. Family-owned and operated from the very beginning, we are committed to the satisfaction of each and every one of our clients here in our Idaho community. When you need a U-Haul for your move, there is no better choice than renting from Stor-It. Rent Your U-Haul Here at Stor-It Today! Ready to rent your U-Haul from our team here at Stor-It? Contact us directly to learn more about the U-Haul vehicles and trailers we currently have available or come in and visit us at one of our many Treasure Valley locations today! Previous Previous post: What Items Should Be Stored in a Climate-Controlled Storage Unit?